The Youth America Grand Prix performance and dinner glittered with major ballet star wattage and head-spinning Bulgari jewelry. (YAGP is the largest international dance network and student ballet scholarship audition organization.) 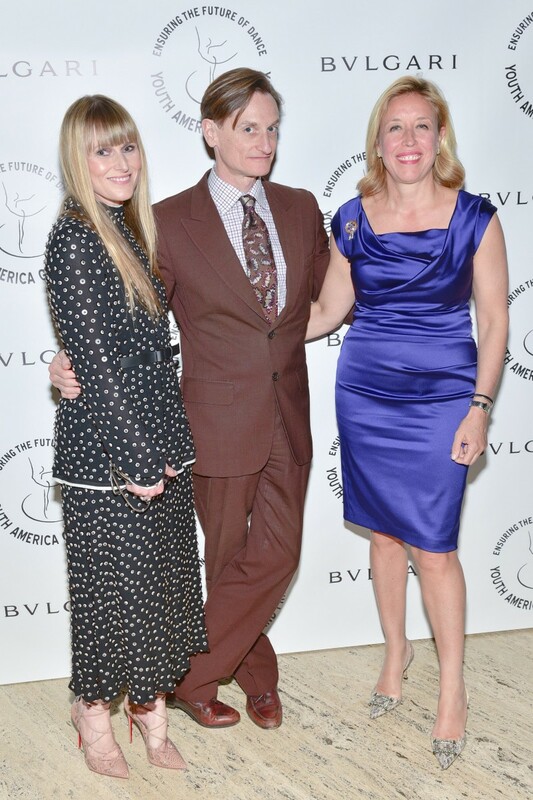 Teen Vogue‘s Amy Astley, donning Proenza Schouler avec Bulgari, was the gala chair. “I used to dance, but I wasn’t very good,” Amy told me. “I love the ballet and it’s such an honor and so fun to be here tonight.” Astley introduced her date, Vogue‘s Hamish Bowles, to a few dance superstars. “All these beautiful dancers are really perfect for Vogue,” Astley said. I sat next to the charming and handsome David Hallberg, who was the first American to become a principal dancer with the Bolshoi Ballet in Moscow in 2011. “I didn’t think I would love Moscow,” David said. “But I really love it. I live there as well as New York and it’s wonderful.” Astley’s other dates were starlets Bella Thorne (in an amazing Bulgari Diva Necklace and Serpenti Bag) and Hailey Baldwin (in a Spiga Bracelet, Bzero 1 Ring, and Diva Ring). 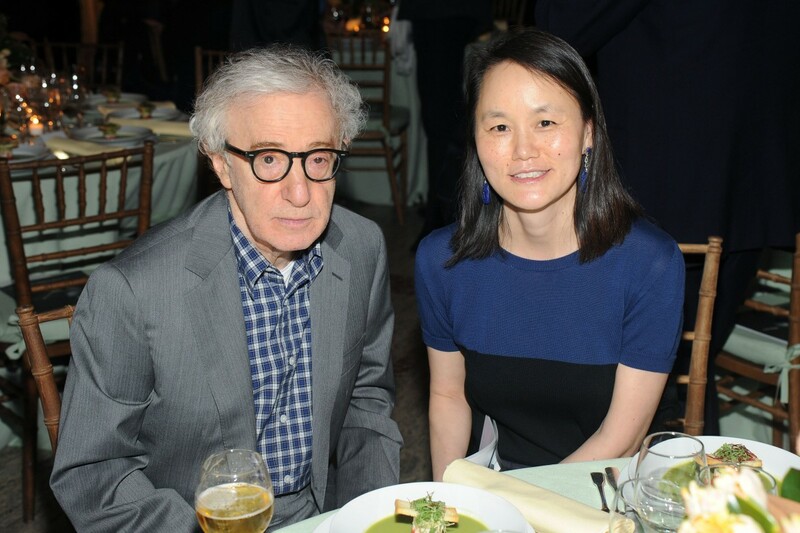 I also eye-spied Woody Allen and Soon-Yi Allen, Bill and Donna Acquavella (their son Alex is getting married soon in St. Bart’s), Jared Angle, Alberto Festa, photographer Henry Leutwyler (who was shooting David Hallberg the next day) and his wife, the brilliant creative director Ruba Abu-Nimah, designer B. Michael, and Jamee Gregory, to name just a few. Speaking of dance parties, I finally got to dance the Hora: my great friend, NYLONs fashion queen Dani Stahl, married the dashing David Kirsch. It was my first Jewish wedding. When I was a kid I used to play the Hora dance scene from Neil Diamond‘s “The Jazz Singer” over and over while wildly dancing. I held a leg of the chair as Dani’s mother, Joan Israel (very reluctantly at first) was hoisted up in the air. It’s like Joan was crowd surfing. I clapped so loudly and moved around so much that I should have soaked my feet in a bucket of ice after. Dani wore two Valentino dresses, and the most insane Christian Louboutin custom shoes with billowy bows in the back. 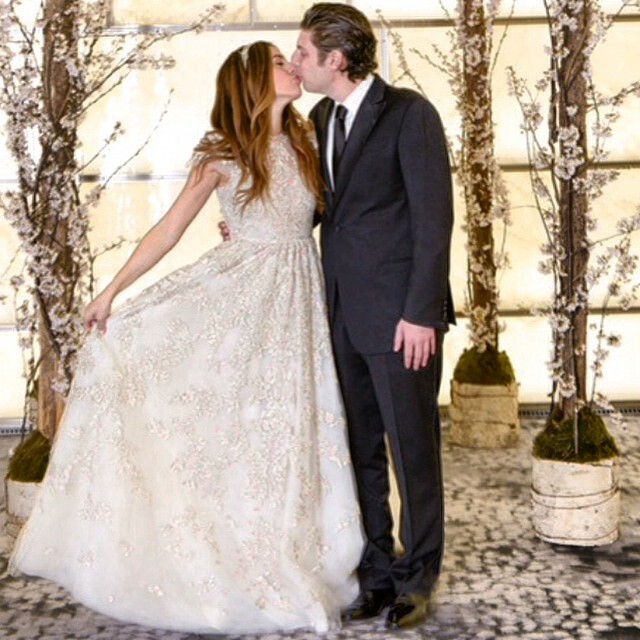 150 of Dani’s friends and family filled the sleek-chic, high-ceilinged rooms of the Park Hyatt. Maxim editrix Kate Lanphear wore a Lia Sophia necklace Dani designed, and my seat mate Leigh Lezark was a slinky siren in red Versace. I also saw Alice + Olivia designer Stacey Bendet (who is always turned out to the nines, looking amazing) and husband Eric Eisner, Fabiola Beracasa (who’s second child is due on June 28th), Eleanor Ylvisaker, Shoshanna Gruss, Louis Vuitton’s Lesley Thompson, Mickey Boardman, Charlotte Ronson, NYLON‘s J. Errico, Nicky Hilton, Dori Cooperman, Noel Tepperberg, Ali Wise, Chanel’s Rebekah McCabe, Vanity Fair‘s Michael Carl, Shadow PR’s Brad Zeifman and Lisette Sand-Freedman, and many more. Dani, a native New Yorker and street style icon, is currently on her honeymoon in Bali, and of course she’s looking chic every second. Mazel!